Hatcherscene: What's it like to be a sponsored child? From BBC global news, "What's it like to be a sponsored child?" Of course, there are two sides to every story, it is good to read about both, the giver and the 'given to' have a chance to speak. 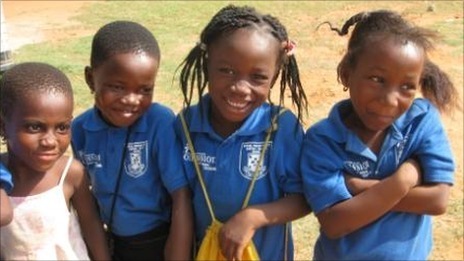 Sponsoring a child in the developing world is a popular form of charitable giving. But what do the children themselves make of the system? When Priscilla was a child, a donor many thousands of miles from her Ghanaian village helped pay for her schooling. For years she exchanged letters with her British benefactor. Now she is 20, the charity has stopped the sponsorship and the relationship. "Last year I wrote to them saying goodbye and thanked them for taking care of me up to this day," says Priscilla, an accountancy student. "When I was writing, I was full of tears. Tears were coming from my eyes." Sponsor-a-child arrangements throw up emotional highs and lows for the children, something many donors are unaware of. Priscilla's sponsorship was arranged through World Vision. The charity has boosted the fortunes of Dangme West, which used to be one of the most deprived areas in greater Accra, the capital of Ghana. Youngsters such as Priscilla are sponsored for up to 15 years. They often receive letters and gifts, so many feel a close bond with their sponsor. Augustina, 14, who hopes to become a doctor, says her sponsor has sent her many things - shoes, bags, crayons, books. She hopes her sponsor loves her, and wants to visit her in England. Some even want their sponsors' e-mail addresses, so they can carry on their correspondence into adulthood. But charities do not encourage this, for fear of dependency. It's an arrangement that can bring disappointment, as well as money. Abraham tells me he hasn't heard from his sponsor for eight years, and he doesn't know why. More than eight million children around the world are sponsored by Western benefactors. This takes the form of regular donations to a charity, which links the sponsor with a deprived child. The charity also oversees the exchange of letters, and also provides updates on the child's progress. It is a form of aid that's popular with donors, being high on the feel-good factor, and lucrative for charities as a source of long-term funding. About $3bn (£1.8bn) is channelled towards the poorest children in this way every year. "Unmet expectations and disappointment for children poses a serious ethical concern," Sussex University report on some sponsor-a-child schemes. There are two approaches to child sponsorship. The oldest is still used by the evangelical Christian organisation, Compassion. In the run-down industrial area of Kpone-on-Sea near Accra, sponsors' regular donations help more than 200 children with free schooling, healthcare and extra Saturday classes in life skills such as basic sanitation and computers. Sponsors are encouraged to write, and often have a very personal link with their child, even to the degree of being their spiritual mentor. "I think of them as close relatives," says Mary, 12. She thinks it's great that someone in another country has seen her picture and chosen to be her friend. When she feels lonely, she looks through the letters and pictures from the family that sponsors her. Compassion is proud of its Christian ethos. The sponsored children are chosen by local churches, but the charity says families of any faith can benefit. We visit a Muslim family living in a dark, cramped, one-room house. They hope sponsorship will help their 11-year old son eventually get a good job so they can escape poverty. Does he mind that this means he is getting a Christian education? "I feel that Allah and God are the same, and the Bible and the Koran, too, are the same," he says. His mother agrees. But is it fair? Some donors make financial gifts in addition to their sponsorship payments. Another family we visit has recently moved to a new settlement thanks to generous extra cheques from a donor in the US. 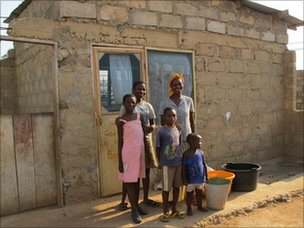 Twelve-year-old Jennifer shows off her new concrete house. "I am surprised that somebody so far away that I don't even know loves me this way," she says. While Compassion's sponsored children have effectively won the lottery, some aid experts argue that this approach is unfair and divisive. So many big charities now allocate sponsors' money to community development projects instead of focusing it on individual children. This is the kind of scheme World Vision operates for Priscilla and others in Dangme West. Plan International also uses the community development approach. A few years ago they commissioned a study from Sussex University into the impact of their operations. Its 2008 report found there was "anxiety, jealousy and disappointment among those children and families who receive no letters or gifts". And, notwithstanding the success stories, "the much larger scale of unmet expectations and emotional disappointment for children poses a serious ethical concern and challenge". Plan has since tried to manage children's expectations. It is abolishing gifts, and no longer requires children to write unless the sponsor writes to them. When Plan arrived in the village of Odumase, west of Accra, 17 years ago, there was no school building, no clean drinking water nor sanitation. The village has benefited hugely from sponsorship funds. And aside from letters, there is no difference between what sponsored and unsponsored children receive. We watch as a big brown envelope is delivered to one of the sponsored children, 13-year-old Ebenezer. It is the third piece of correspondence he has received in seven years, and contains a postcard and a few words of greeting. Ebenezer appears crestfallen. Although happy to get the postcard, Ebenezer feels the lack of gifts means his sponsor doesn't care about him, and that makes him sad. But Eric and Naomi, the teenage helpers, enthusiastically begin to help him draft a reply. He wants to ask for a football and a skipping rope, but that, he is told, is not allowed. This raises the question - without the direct financial link and the gifts, and if donors aren't frequent writers, what is left of the sponsorship relationship? And should it be abandoned altogether? Plan UK's chief executive, Marie Staunton, argues that sponsorship is still an intrinsic part of the development process, helping with education and the necessary reporting back to head office on how children are faring. It also gives leadership experience to the teenagers who help with the process. "I don't think the sponsorship we do is diluted at all. What sponsors want is long-term changes in children's lives. Because of sponsorship, we are focused on children, children have a say. People like Eric and Naomi have had years of communicating to people outside their village." The charities argue it's a way to raise money that would not otherwise be there for development. Ultimately, though, it will be for donors to decide the future of child sponsorship. 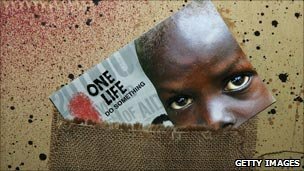 A Child to Sponsor is broadcast on BBC Radio 4 at 1100 BST on Friday, 10 June 2011. I sponsored a child in South America for eight years and had hoped to visit him one day. Suddenly, out of the blue I got a letter from the charity saying the project had finished and my sponsorship was no longer needed. I have no way of contacting him and I was devastated. I now sponsor another child but have not been corresponding so I don't become too attached. However, after reading how much it means to come children, I think I will now write to her. I have been part of a children's charity with sponsors in Europe, UK and the US. Our children love the letters and some sponsors even visit the children. The sponsors receive reports on their progress, photographs and a biannual report on the activities in our local charity. Our children attend primary school, high school and some even go on to study at colleges and university, and this is all possible due to generous and caring sponsors overseas. We even have a programme to assist families and children affected by the AIDS pandemic. This work is all possible due to people caring for children in our country. Charities do better with community-based projects than individual sponsorship. This will be in the spirit of equal opportunities for all. Children should be made to be responsible for one another, and to share whatever they have in a community. If only we could share our resources equitably, the world would be a much better place. I have sponsored a child for almost 15 years. This is the third child. I used to able to make extra donation directly to the child's family around Xmas time and the household wrote to me back of what they have spent on. However, this is not possible anymore with my charity. All the money goes to project development. The practice of pairing sponsors with specific children causes many problems. In India, for example, the poor do not know English. Sponsorship organisations very often get a teacher to write a letter on the board for the children to copy. Most don't understand what they are writing. Some children get expensive presents while others don't even get a letter. Each family's needs have to be assessed before a child is given help. Problems are created by giving too much help to a child. The family is artificially propped up instead of being encouraged to be economical and to search for other sources of income. There is no doubt that a donor feels good thinking that they are 'adopting' a child. This feel-good factor is an important selling point for the organisation. But at a cost - to the child, its family and the donor. I sponsor a child. I understand the problems of creating a relationship between child and sponsor, but feel that the benefits would outweigh the disadvantages. In my case, I don't really know whether the organisation encourages contact, other than the rather standardised letters they send out. There should be very clear guidelines for the donors and counsel for the children. I would be reluctant to give to an organisation where everything goes into one big pot. Contact is important. This could be handled better, for example those benefactors who wish to maintain the contacts or relationships with their beneficiaries after the stated time limit could be encouraged to do so. Rigid rules are frustrating on both sides. I was also sponsored and now am an accountant at an education department in Kenya. I have not gotten a reply of my US sponsor since 2008 when I wrote thanking him and his family, after I completed my certified public accountancy in a business school. I want them to know I am very grateful and that even now I want to follow their footsteps of sponsoring other unfortunate kids in my area. I want him to know he did invest in the right person, and that I always pray to him. How can I get to tell him all this? I have searched social networking sites to no avail. Here is an idea "give through one, give to all" that would take into account all the problem of unfairness. It might even increase donations. Agencies would advise individual donors that because of the divisiveness of the method of selecting lucky children, and because of the great need among other children as well, the sponsorship scheme is being changed, telling them: (a) you can still relate to an individual boy or girl; (b) the money given in the name of "your child" will be distributed, with that of other sponsors, fairly among all the boys and girls of the class/school/village/neighbourhood, but your child's family will receive a symbolic gift such as fruit; (c) your letters should always be addressed to the child and to the whole class, so that the child or the teacher can happily read your letter to the class. 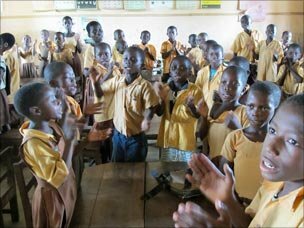 Your sponsored child will be happy that he or she has attracted money for the whole class (or school, etc). Everybody else will be happy as well!